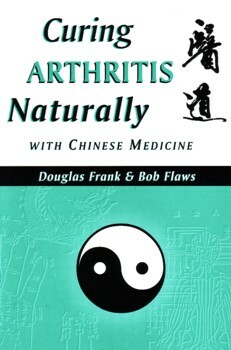 This book is a layperson’s guide to Chinese medicine and arthritis. In it, the authors discuss the basic concepts of Chinese medicine, the Chinese medical description of pain in general, and the Chinese medical diagnosis and treatment of joint pain in particular. They then go on to introduce such Chinese medical concepts as qi stagnation, blood stasis, phlegm nodulation, and qi and blood vacuity. This is followed by a discussion of the main patterns covering arthritis in Chinese medicine and how these are treated by professional practitioners of Chinese medicine. Next come a number of Western case histories of patients who were treated by Doug Frank. The authors then discuss what they call the 'three free therapies' for arthritis: diet, exercise, and deep relaxation. In addition to this trio of fundamental self-care therapies, the authors also discuss such low or no-cost Chinese self-help techniques as qi gong, self-massage, magnet therapy, moxibustion, hydrotherapy, Chinese herbal patent medicines, and Chinese herbal wines and elixirs. They round out their presentation with some sound psychological advice about learning to live with chronic pain, advice on how to find a local professional practitioners, and a section on learning more about Chinese medicine. A glossary at the back makes unfamiliar Chinese medical terms easy to understand. In addition, there is a bibliography and an index.